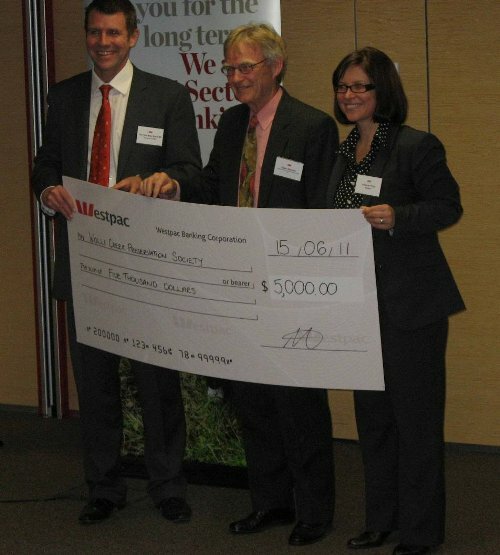 The Treasurer of the Wolli Creek Preservation Society, Peter Stevens, has won the 2011 Westpac Community Treasurers’ Award in the small organisations category. The community treasurers’ awards recognise the tremendous contribution community treasurers make to community groups and the community generally and Peter is a worthy recipient of this year’s award. For more information about the awards and Peter’s contribution see the Our Community website. The Society was the overall state winner of the Biodiversity Conservation Award of the Sustainable Cities program presented by Keep Australia Beautiful NSW. 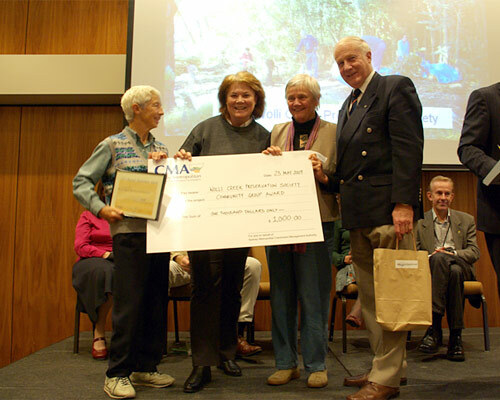 The Society was also the winner of the inaugural Biodiversity Conservation Award from the Sydney Metropolitan Catchment Management Authority. The International Year of Biodiversity was “established by the United Nations to increase worldwide awareness of biodiversity and its importance, and to engage more people in its conservation”. We look forward to being able to continue our efforts in biodiversity conservation by involving as many people as possible in all our activities. See Bushcare elsewhere on our website for information about grants received for bushland restoration works.